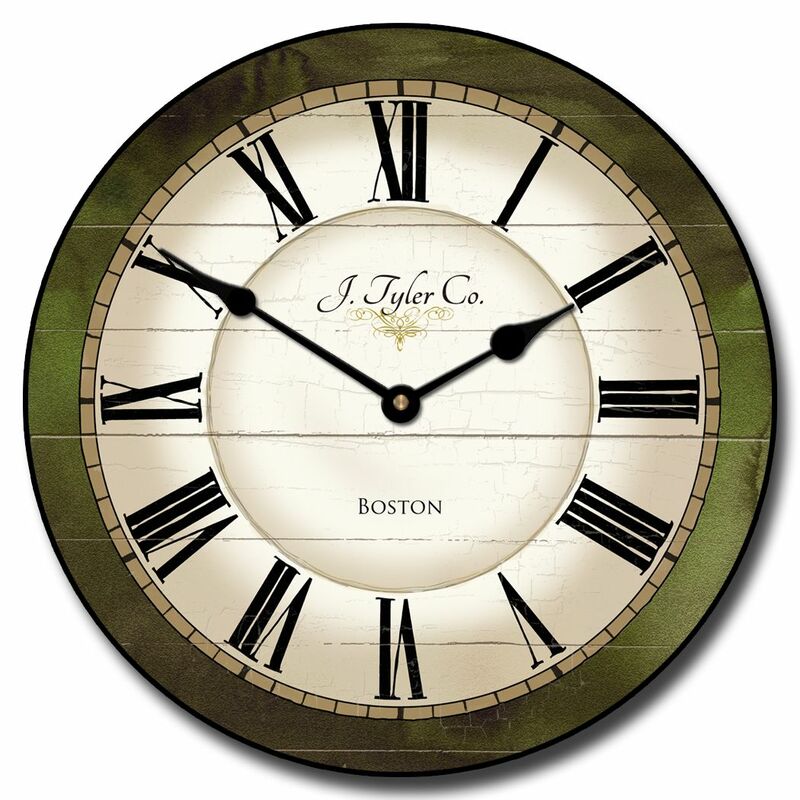 This Caroline vintage green wall clock is decorative and will look stunning in your home setting. 1/2" thick MDF wood clock base.. the clock can be gently cleaned. This antiqued green and cream wall clock runs on a quiet Quartz movement, one AA battery required, not included.